Leonide Martin will be signing books at booth 39 at the Portland Book Festival on November 10th. 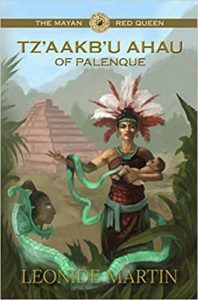 Leonide Martin, author of the Mists of Palenque series, draws from academic skills and Maya initiate training to write authentic historical fiction. She studied scientific and indigenous views, conducted extensive research, and on-site archeological excursions. Apprenticing with a Maya elder, she became a Fire Woman and Solar Initiate while living in Yucatan, Mexico. 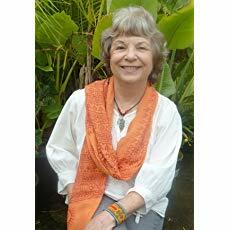 Her interest in Mayan women led to writing the series about Mayan queens of the ancient Palenque dynasty. Her writing has won awards from Writer’s Digest and Global eBook Awards. Leonide lives with her husband and two white cats in Willamette Valley wine country, Oregon. In stone cities deep in Mexico’s jungles, four women shaped the Maya people’s destiny more than 14 centuries ago. These powerful leaders’ stories, unknown to most readers, are vividly portrayed in historical fiction about actual Mayan queens. Four book series that “draws one into exotic worlds…well researched…riveting…compelling stories.” Find out more.